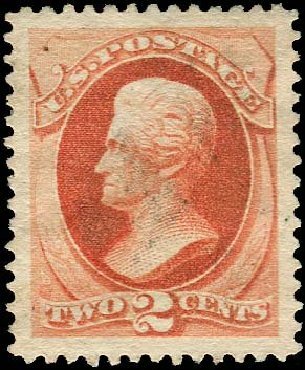 o 1879, 2¢ vermilion, double impression (183a), strong doubling, rich color. 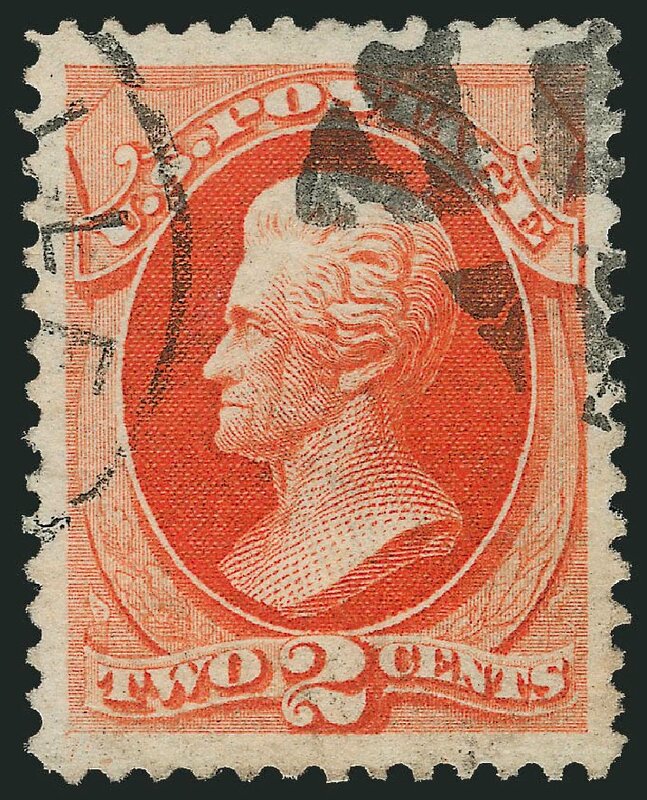 Philadelphia duplex cancel. Few clipped perfs upper right and trivial gum soaks in a few perfs. Otherwise Fine. 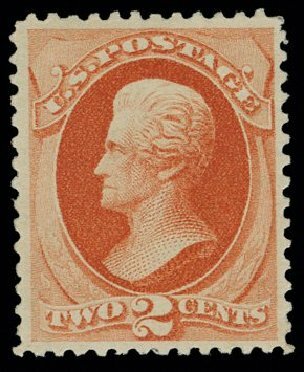 Scott price $5,500 ONE OF ONLY TWO RECORDED EXAMPLES OF THIS MAJOR DOUBLE IMPRESSION. Expertization: 2009 P.F. Certificate. Provenance: Wert, Braus. Illustrated in Brookman Vol. II P. 290. Apparently, the other example came from the same sheet, as it has the same cancel. It too has a small fault. 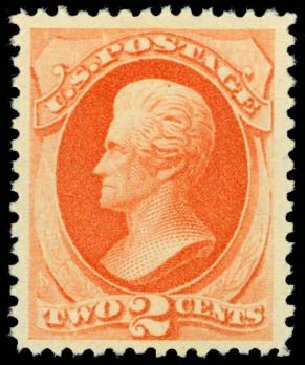 USA (Scott 183) 1879 JACKSON BANKNOTE 2? VERMILION (JUMBO) Superb Jumbo gem, large margins all-around. Lightly canceled beauty. Cat value $55. 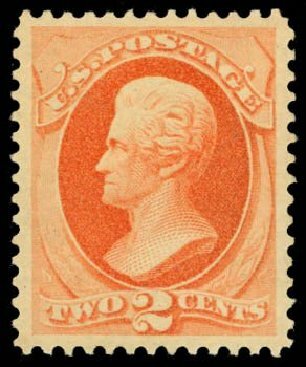 USA (Scott 183) 1879 JACKSON BANKNOTE 2? VERMILION Extremely fine centering, bright color. MINT never hinged. (1996 PSE Cert #27559) Cat value $370. 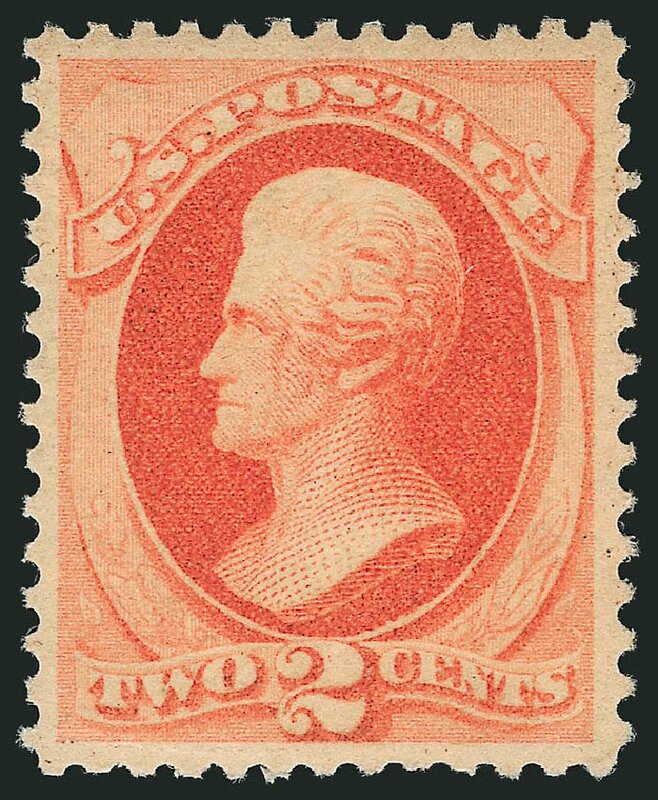 U.S.; General Issues, 1879, 2¢ vermilion, #183, n.h., Fine, PSAG (2014) cert. 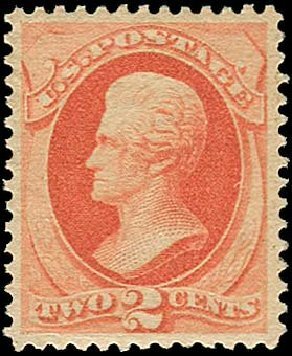 Scott $370. Estimate value $100. 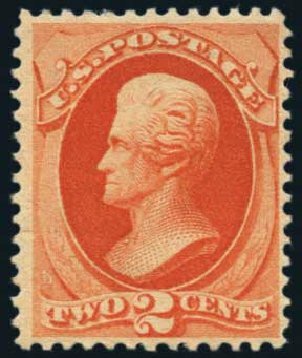 2c Vermilion (183). Top imprint and plate no. 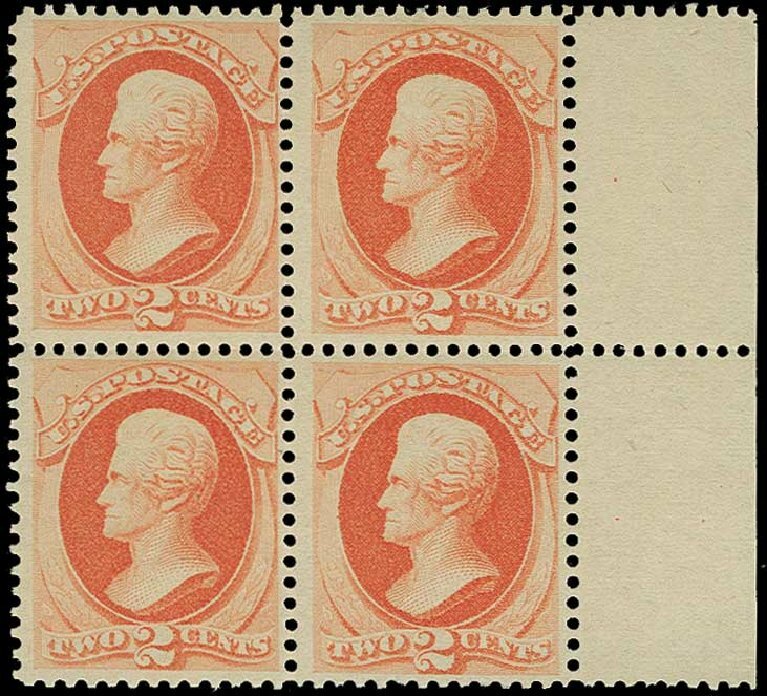 296 block of 14, original gum, lightly hinged, narrow h.r. in ungummed portion of selvage, bright color, few minor reinforced perf separations VERY FINE. 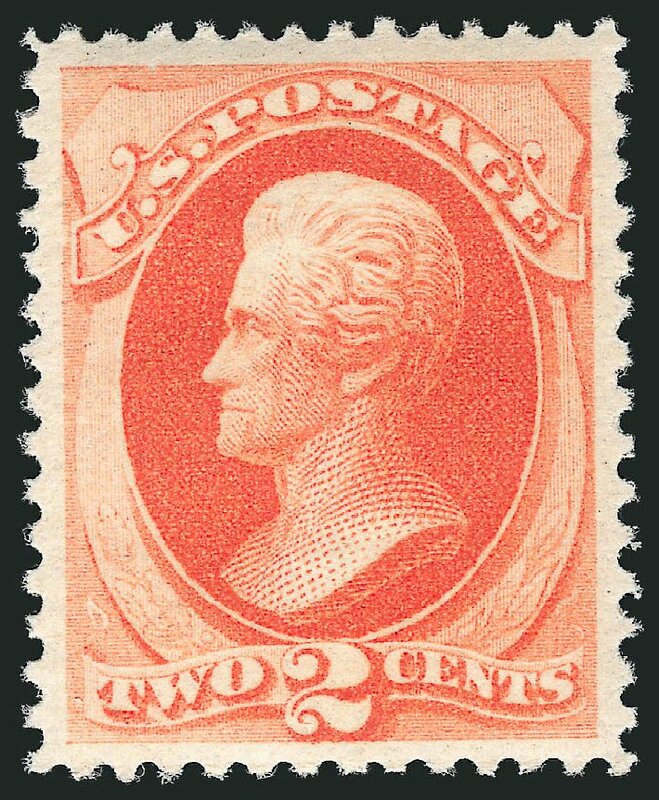 ONE OF ONLY THREE TOP PLATE BLOCKS AMONG THE EIGHT RECORDED OF THE 1879 2-CENT VERMILION ISSUE. There are eight plate blocks of Scott 183 recorded in the Chapin census. Among these there are only three recorded top plate blocks. 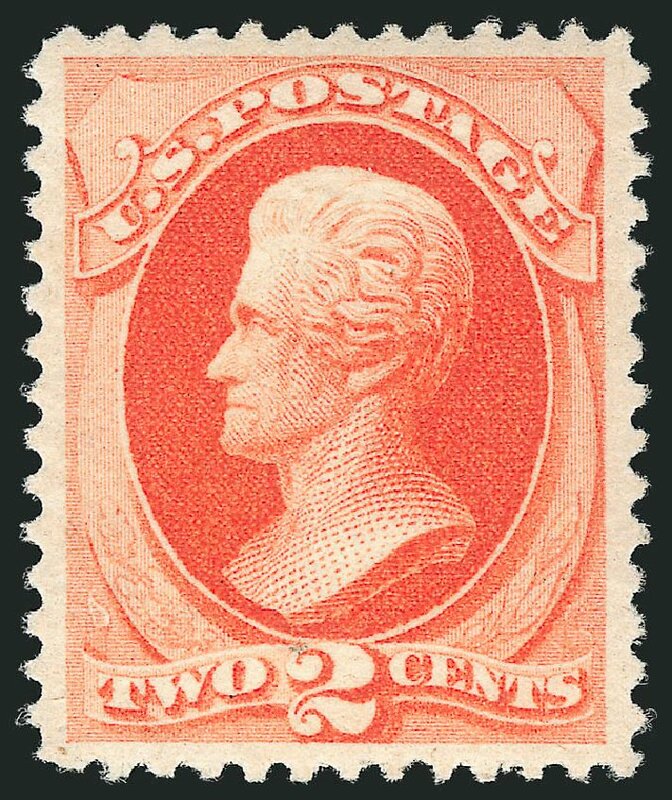 1879, 2¢ vermilion (Scott 183), o.g., never hinged, outstanding example with delightful fresh color, a fabulously centered stamp with impressive large margins, rarely found in such immaculate mint condition, Extremely Fine, 2011 P.S.E. certificate. 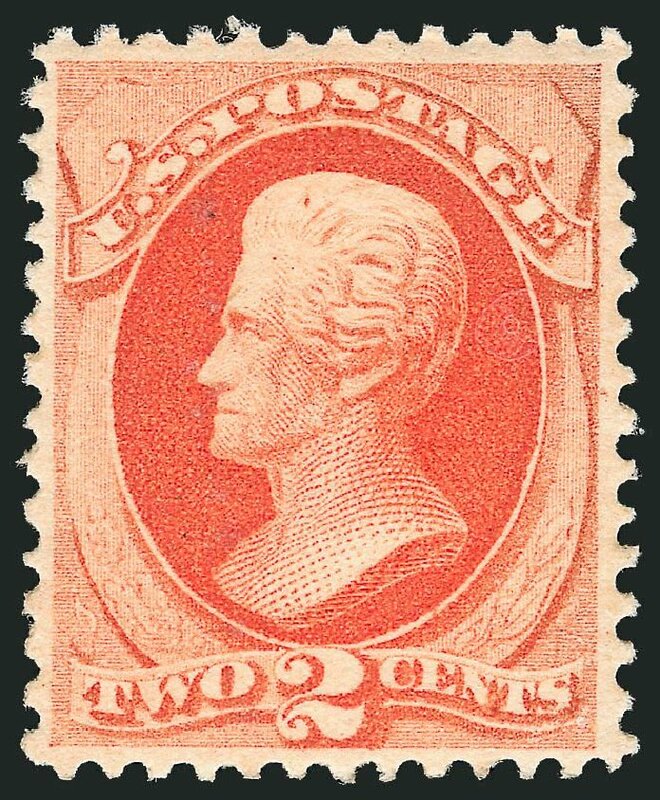 Scott $370. Estimate value $500 – 750. 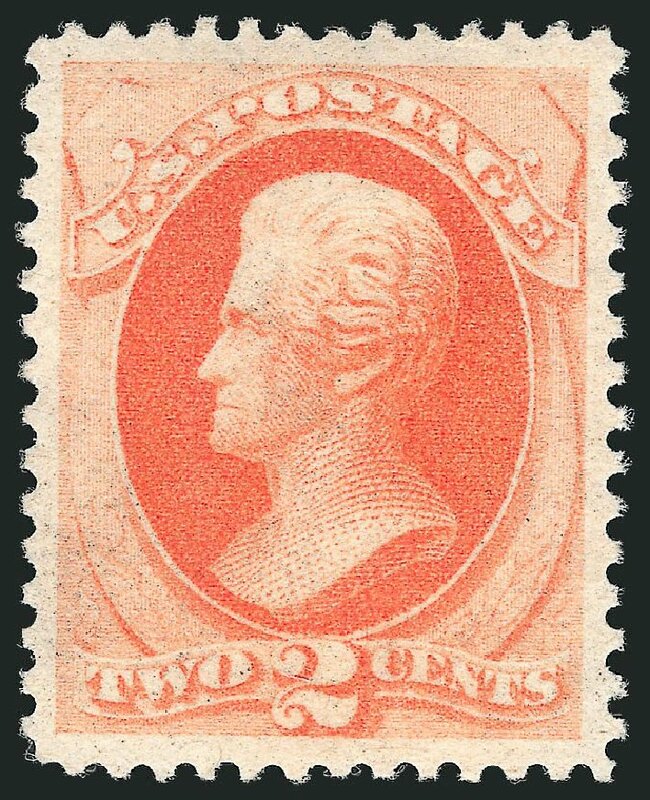 1879, 2¢ vermilion (Scott 183), o.g., lightly hinged, good looking example with brilliant color and excellent centering, Extremely Fine, 2007 P.F. certificate graded XF-90. 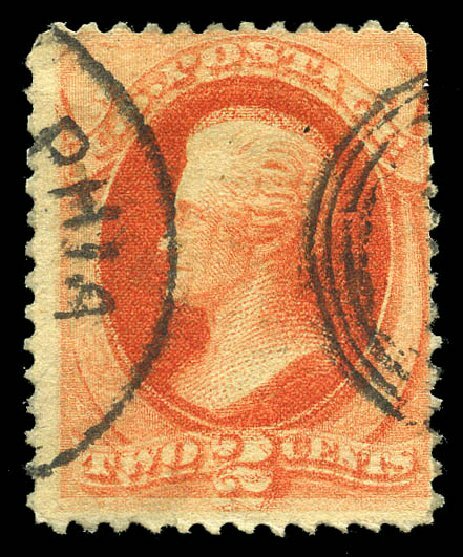 Scott $100. Estimate price $200 – 300.